“Welcome 19th CPC National Congress and take photo collection activities into the Jiangsu Kelunduo | Jiangsu Kolod Food Ingredients Co.,Ltd. 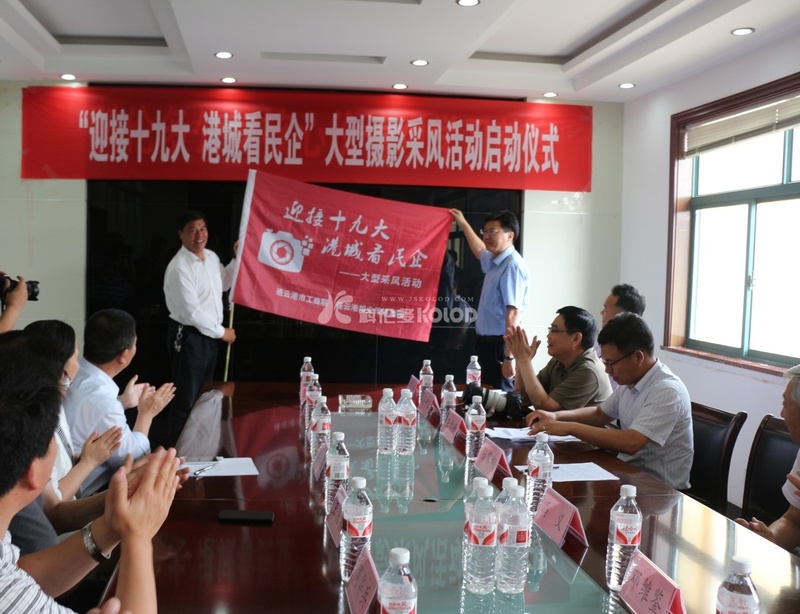 The morning of September 20, 2017, Lianyungang City Federation of industry and Commerce and the Lianyungang newspaper media group jointly in our company conference room held for the nineteen port city private large photography collection ceremony. Former vice mayor of Lianyungang city Feng Yi, Federation Chairman Zhang Jiajiong, vice president Zhang Jiwu, vice president of the Lianyungang daily, Cangwu evening news deputy editor: Caroline, Lianyungang City veteran Photography Association chairman Cao Yuhe and photographer and a line of twenty-four people attended the ceremony, after the end of the ceremony, the participating leaders and photographers visited eleven workshops, and conducted on-site interview photography activities.